I have always loved Debbie Reynolds – she was adorable (every single day of her life), a wonderful actress, great singer and dancer, and all around…. well… lovable. How anyone could ever conceivably claim to not like her would worry me. After all, how could you not like Debbie Reynolds?? That’d be like saying you didn’t think Rita Hayworth was beautiful. 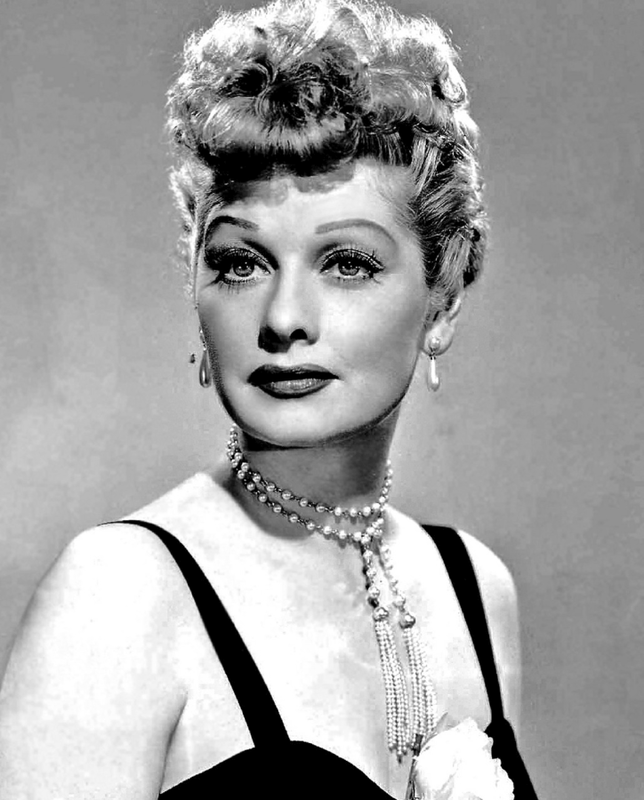 Or you weren’t quite sure Lucille Ball was funny. 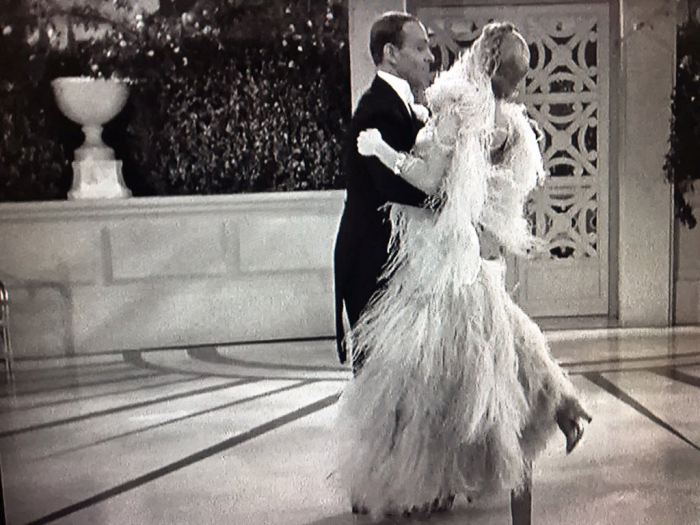 That you were up in the air over Barbara Stanwyck, Bette Davis AND Joan Crawford’s acting chops. Okay, you get the point. You can’t dislike Debbie Reynolds. Impossible. Now that we have that settled….. 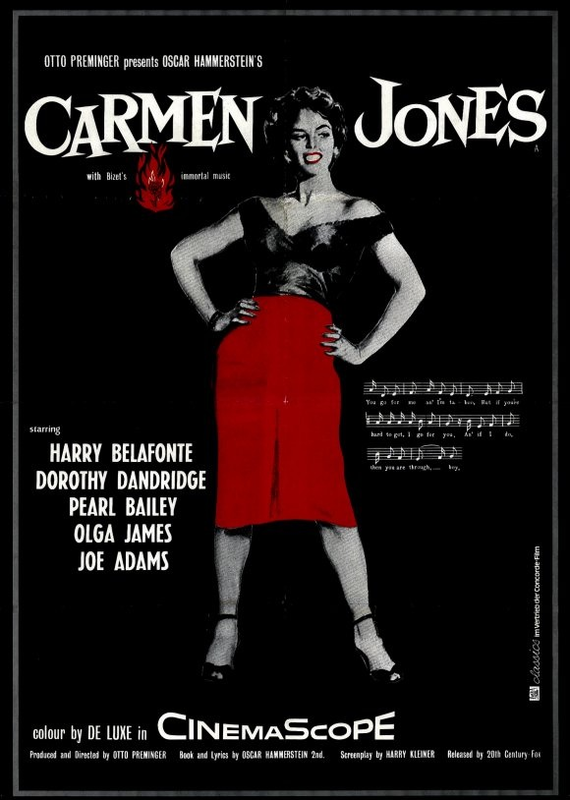 I actually remember my first Debbie Reynolds movie – Singing in the Rain. 10 minutes after she first arrived on the scene, I was ready to like, love, or hate any other star or character based solely on how they treated her. She just had a certain something about her that drew you to her and every character she breathed life into. Though I’d always been a huge fan of Elizabeth Taylor, when I read about her “you know what” with “you know who,” I wrote her AND “you know who” both off. 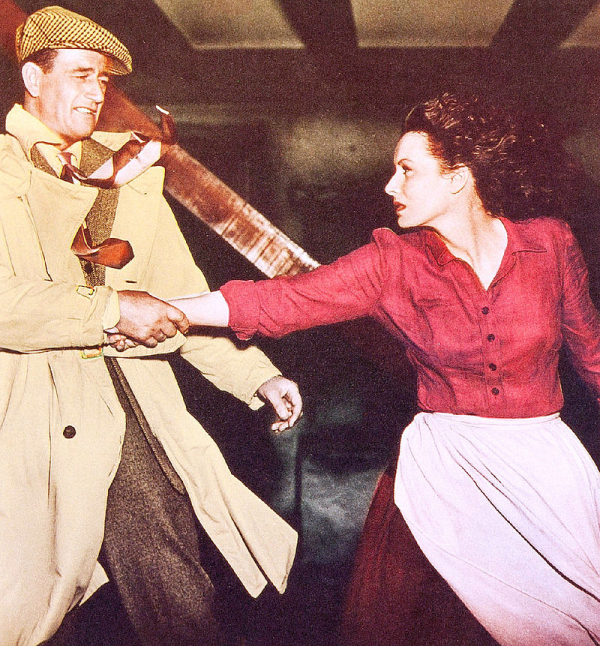 Years later, I read that Elizabeth Taylor and Debbie Reynolds had become friends again – proving, yet again, that they don’t come any more special than Ms. Reynolds. As for “you know who…” well, I never forgave him. 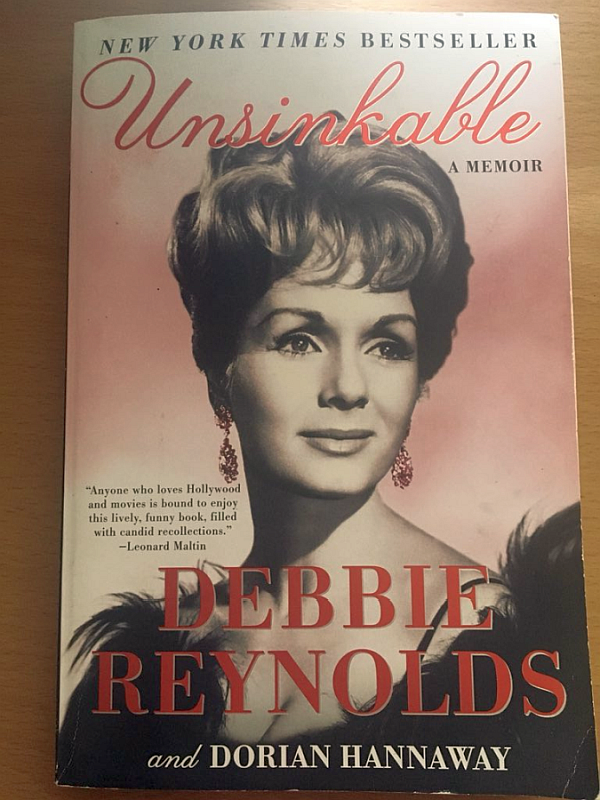 I just finished a wonderful book, Unsinkable – a memoir by Debbie Reynolds, herself, and I couldn’t wait to tell you about it. 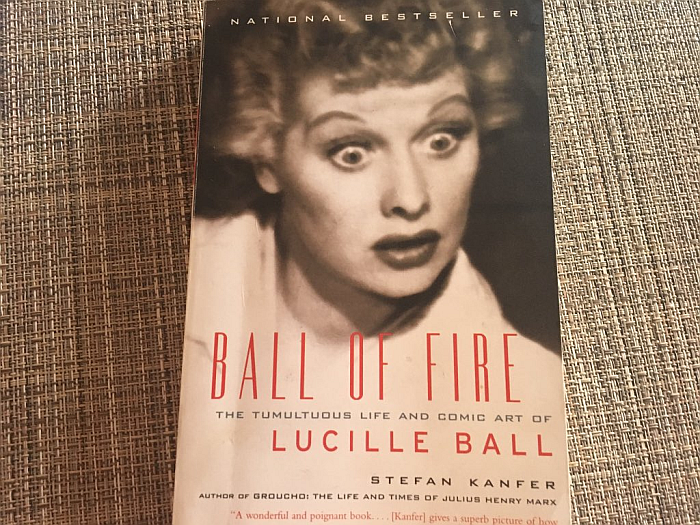 I’m obsessed with Old Hollywood biographies, but when they’re about stars who happen to be favorites, I often read a chapter twice simply to make sure I’ve devoured every word possible. If you aren’t convinced of my infatuation with these biographies on that alone, I can do you one better. I take notes from each book I read. Yep – like a college student. 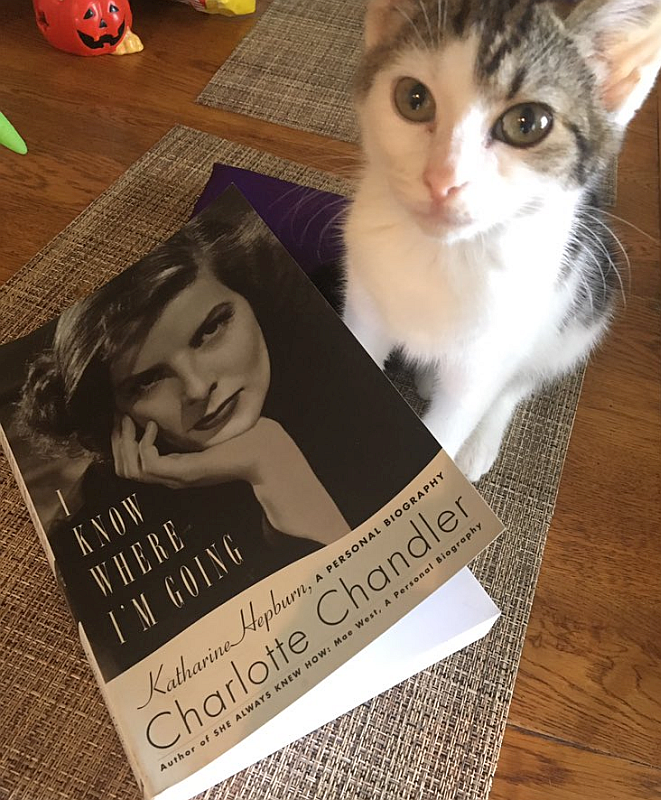 Whether they’re Old Hollywood biographies or another passion, historical biographies (Cleopatra, Harriet Tubman, First Ladies, and Abraham Lincoln are some of my personal favorites) – I jot down quotes or information I want to remember. As you’d imagine, I have a lot of notebooks and go through a lot of pens. 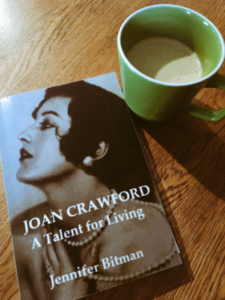 People often ask me if I prefer autobiographies and memoirs or biographies and I truthfully cannot say. Autobiographies and personal memoirs reach somewhere other biographers can’t even touch… inside the star’s head. The stars, themselves, can tell you what they were thinking and how they felt. Biographers have to rely on assumption or secondhand knowledge. Having said that, I’ve read enough of each to know that you often get more “raw facts” from a biographer than a star. Many stars, understandably, don’t want to give everything away. Can NOT blame them for that! Debbie Reynolds is, in my opinion, one of the most open and honest stars when it comes to her memoirs. She isn’t vindictive, didn’t have a “narrative” or ax to grind. 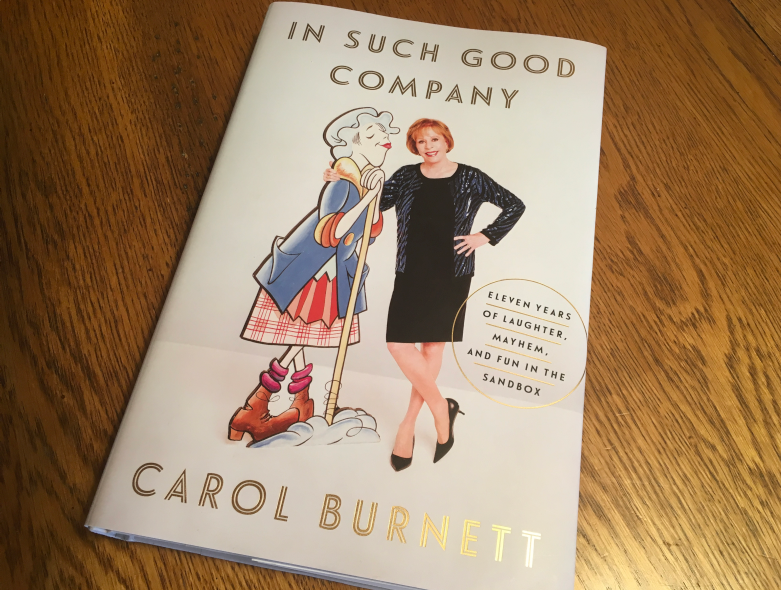 She simply tells her fascinating stories and in a way that, quite frankly, feels like you’re having coffee with your hilarious aunt. The aunt who is as lovely inside as out, yet has a crazy sense of humor that sometimes makes you kind of blush. YES… that Debbie Reynolds. 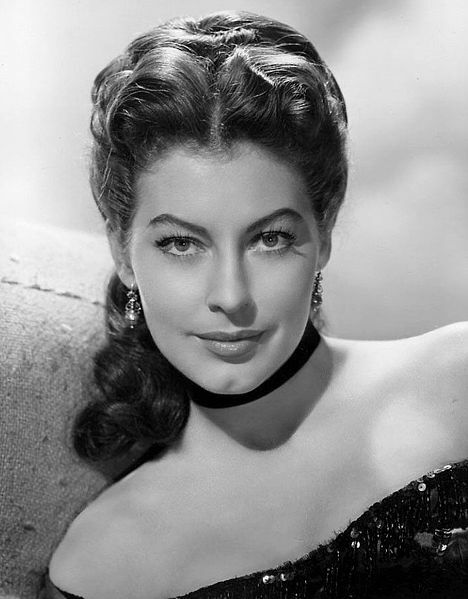 YES… that Old Hollywood’s Sweetheart. Her humor will catch you off guard and, if she were the aunt you were having coffee with, you’d have to put your cup down often to keep from choking on the coffee. After all, laughing and swallowing aren’t mutually compatible. Before I continue with the book review, take a look at the picture from the cover (below). Gorgeous, right?! You know who she reminds me of here? If you watched soap operas back in the day, you’ll know who I’m talking about. If you didn’t, you’ll have to take my word for it. She reminds me A LOT of the beautiful actress Robin Strasser (Dorian, One Life to Live). Unsinkable is the definitive memoir by film legend and Hollywood icon Debbie Reynolds. In Unsinkable, the late great actress, comedienne, singer, and dancer Debbie Reynolds shares the highs and lows of her life as an actress during Hollywood’s Golden Age, anecdotes about her lifelong friendship with Elizabeth Taylor, her experiences as the foremost collector of Hollywood memorabilia, and intimate details of her marriages and family life with her children, Carrie and Todd Fisher. 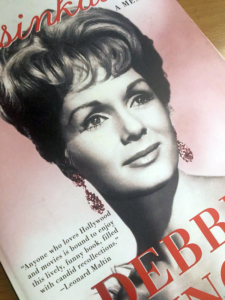 A story of heartbreak, hope, and survival, “America’s Sweetheart” Debbie Reynolds picks up where she left off in her first memoir, Debbie: My Life, and is illustrated with previously unpublished photos from Reynolds’s personal collection. 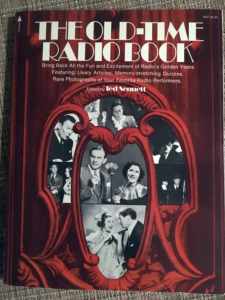 If you read many Old Hollywood biographies and memoirs, you know that one of the funnest things about them is when you “bump into” other actors, actresses, and celebrities on the pages. Sometimes they’re expected, other times not. Either way, I always get a huge kick out of the book’s subject’s interactions, relationships, and inward thoughts about these stars. You can often learn as much (or more!) about someone from another person’s words and/or opinion of them. There are numerous such “encounters” on the pages of Unsinkable and they are sometimes hilarious, sometimes disappointing, and always fascinating. Unsinkable was written by Debbie Reynolds and a longtime friend of her’s, Dorian Hannaway. These ladies created a book that will go down as one of my personal favorites. Talk about a FUN read. As with all of my reviews, I detest the thought of giving anything away… so I won’t allow myself to say too much. After all, the best way to get to truly know these magical stars of Hollywood Yesterday is to read about them. Since my number one goal with this blog is to keep these stars shining brightly, I desperately want as many people to get to know them as possible. This means I want as many of you to read these biographies as possible. 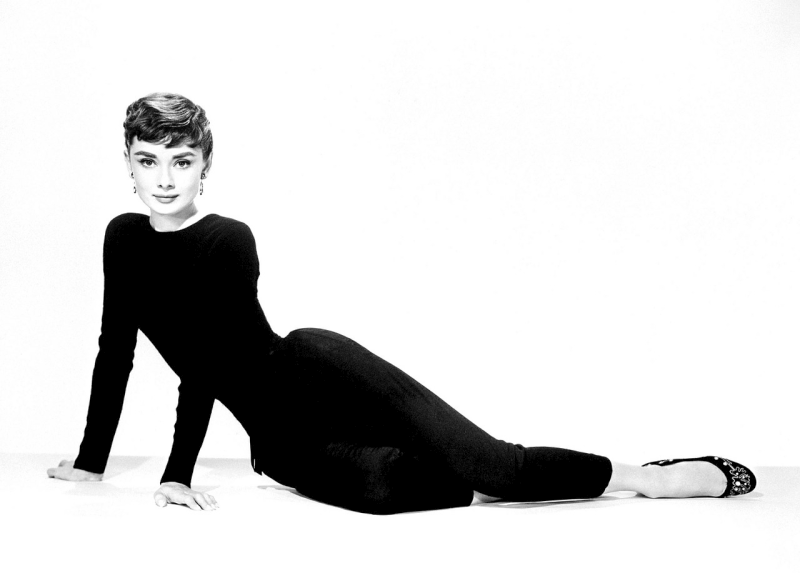 If I give things away, you’ll be less apt to do that… and Debbie Reynolds is a star I absolutely want as many people as possible to get to know better. There’s so much more to her than her uncommonly sweet smile and beauty. A lot more… and much of it will catch you off guard. Her sense of humor was outrageous. 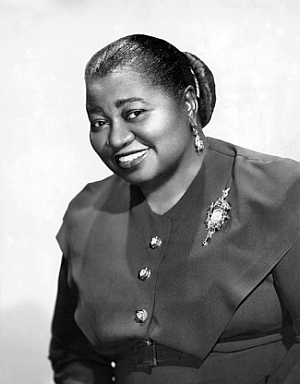 Although she isn’t known for comedy, she’d have been HUGE in the genre. 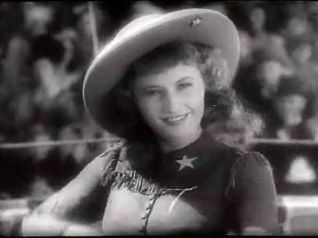 She had a natural sense of humor and ability to find the fun, humor, and playfulness in just about every corner of life. She loved her family completely, intensely, and passionately. Her love for her children and granddaughter – and her pride in everything about them – defined Debbie Reynolds. They were her world… to the very end. So much so that, after her beloved daughter Carrie Fisher passed away, it would appear that she wanted only one thing.. to follow Carrie and make certain she was safe. This is a book I know you’ll want to read and this is a lady I know you’ll love. You can find Unsinkable by Debbie Reynolds and Dorian Hannaway on Amazon or in your favorite bookstore. 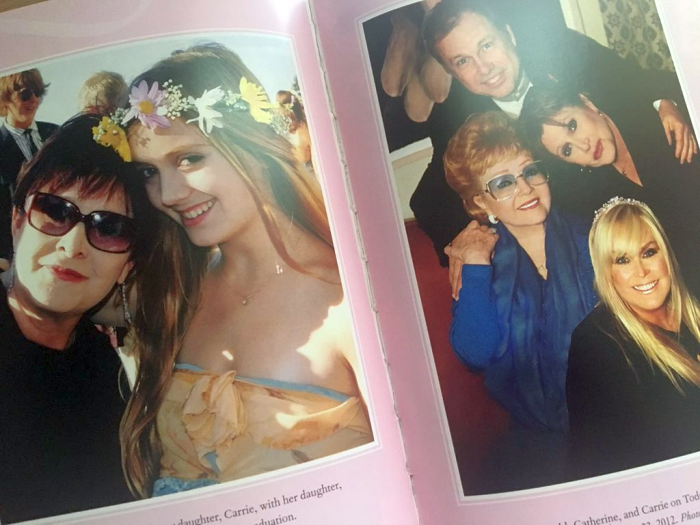 By the way, if you were a One Life to Live fan (I was for more years than I could begin to count), you’ll recognize the gorgeous actress in the picture above with Debbie Reynolds, her son Todd, and Carrie Fisher… Catherine Hickland – one of the best actresses to ever grace daytime television OR nighttime. She played Lindsay on OLTL and she is one of my all-time favorites. She is actually married to Debbie Reynold’s beloved son Todd.